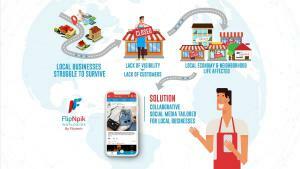 LONDON, SINGAPORE, SINGAPORE, July 4, 2018 /EINPresswire.com/ -- Blockchain-powered collaborative social media for local businesses, FlipNpik Worldwide has partnered with iFashion Group with a view to enter the competitive Asian markets. This is the first, most comprehensive, agreement signed by FlipNpik Worldwide to explore synergies outside Europe. The MGX stores, subsidiaries of the iFashion Group, will act as anchor points for FlipNpik Worldwide within the Asian territory. 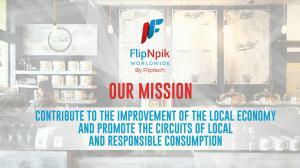 FlipNpik will inscribe on the FNP platform around 10,000 new merchants (SMEs) from the database of more than 40,000 subscribers on MGX, within a period of 12 months. MGX will also power community and social media touchpoints to explore new strategic partnerships. The store, on its e-commerce platform, Megaxstore.com, will list and accept FNP tokens as payment. 20,000 MGX tokens will be airdropped to a select target audience identified by FlipNpik. Through its subsidiary, Cryptobacon.club, iFashion Group will be creating engaging content to target regional population in conjunction with FlipNpik's marketing initiatives. The two groups have also decided to perform a token swap (FNP for MGX tokens) worth USD 200,000. FlipNpik's operations in Singapore and neighbouring regions will be headquartered at iFashion Group, with details of iFashion Group taking over FlipNpik Worldwide’s operations in the region to be worked out at a later date. Both groups have expressed satisfaction in signing this mutually beneficial partnership that is set to create a long-term relationship between the two. FlipNpik is currently in pre-ICO sale phase and for a limited time will be offering special bonuses.